The notorious hacker Nitr0 is plotting something big, and as a team of rookie FBI agents assigned to the case, you’re looking to bring him down! You’ve recently stumbled across what you believe to be his current location, and in a mad rush to make a name for yourself, you rush to the scene in order to take him down! Unfortunately, this was all an elaborate ruse, and you’ve been locked inside by Nitr0, who tells you that he has alerted your office to “Nitr0’s” whereabouts and will be framing you for his crimes! With only an hour to escape, you’ll have to beat the hacker at his own game and escape! We were jazzed for a high tech hacker themed room, and couldn’t wait to see what was in store within Th3 C0d3, leetspeak aside. Other rooms promising high tech themes had ranged from disappointing to awesome, so I was eager to see what Escapology could do with this theme. Imagine my surprise when we entered Nitr0’s lair and it was… a dorm room with Dorito wrappers strewn about. Obviously we’d yet to reach the inner sanctum, so we got to puzzling immediately! It was super obvious that Nitr0 was evil, due to his University of South Carolina Gamecock decorations! (Go Tigers!) Kidding aside, it was fun to see that an evolving, if light, story was told through our timer. Every so often, we were interrupted by our hacker “friend” for a nice round of taunting, reminding us of how little time we had left, and how close the FBI was to finding us. It was an interesting twist on a basic item you’ll find in almost every escape room. A couple of puzzles stood out from the norm, with one excellent tactile one surprising us with its simple, yet elegant conveyance of a code. The puzzling itself was fine, if a little basic, and tended to work well for the most part. The use of a news broadcast also added a fair amount of flavor to the room, and kept us immersed in tension! 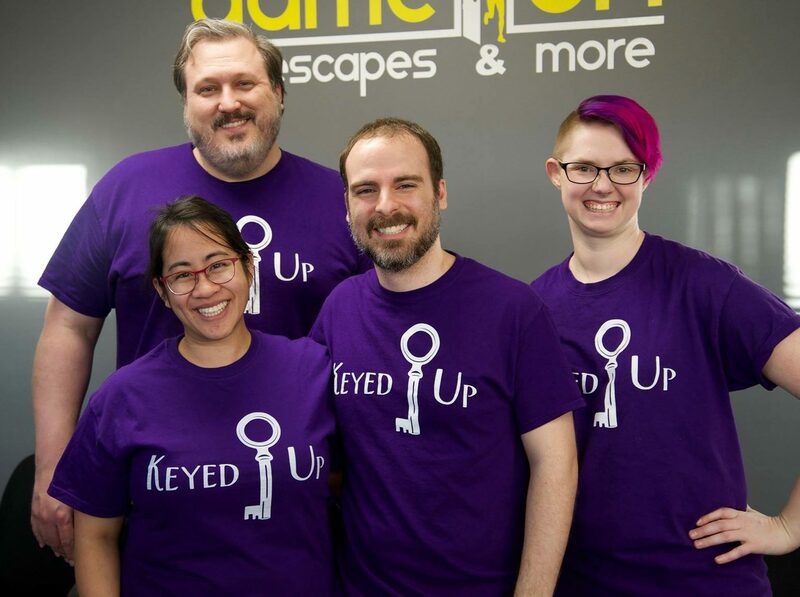 There was a distinct absence of many tech based puzzles, which is ok in general but for a hacker themed escape room, this feels like a missed opportunity. I understand that a hacker might be distrustful of utilizing too much technology in his lair, but the theme would be better served with more ubiquitous technical wizardry about. The set was ok, but was a far cry from what we expected, since our foe’s lair was a college dorm room. The set itself really improved as we progressed, but unfortunately, when it got really cool, we were moments away from the end. Quite a few logical leaps abounded, with tenuous connections stalling the game flow and leaving us wondering how we were supposed to intuitively come up with some of the answers. Overall, the game flow would’ve benefitted from more robust connective tissue between puzzles. There were moments of nonlinearity, but overall, there just wasn’t quite enough for all four of us to keep entertained for the full experience, and by the end, one person was responsible for halting the evil schemes of Nitr0. This ended up being a very bland climax, which could’ve been made so much better if the choice that seems to be presented through audio clips was a true one, or if the puzzle itself wasn’t so very banal. Th3 C0d3 has an interesting theme, but unfortunately the puzzles and set don’t quite do it justice. Still, the room is competently made, and newcomers will more than likely find it engaging. Enthusiasts will have seen a lot of the challenges inside before, so I recommend trying out Mayday or Budapest Express instead. You can book your time matching wits with Nitr0 here!